My first crochet adventure is finished, all 16 clues of the Drops MeadowCal are done. It took me four months to get there and it was definitely and interesting time. I now feel confident enough for easy stuff even though reading a crochet pattern is much more difficult than a knitting pattern still. I had fun doing it and I probably will crochet again, but I am pretty sure that I'll always prefer knitting. I like the knitted fabric better, it's softer and it seems to be much easier to shape, I think it's easier to fix mistakes in a knitted project and I'd rather use needles than a hook. 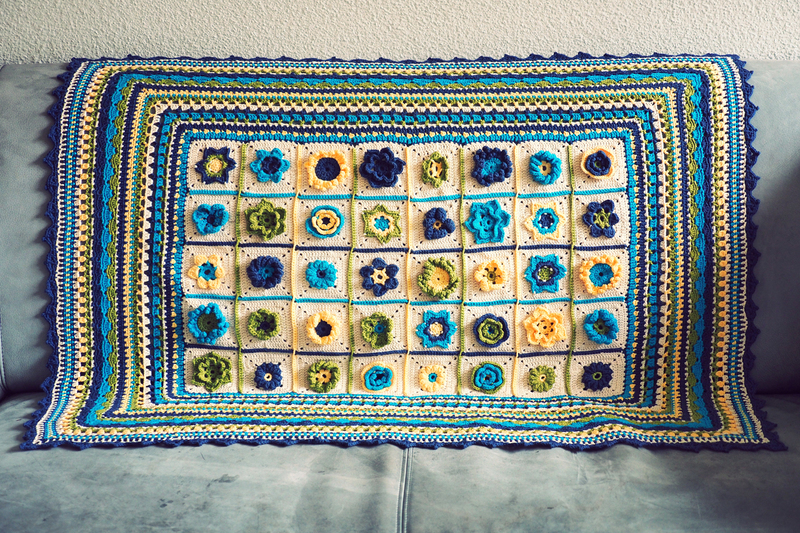 I think I'll give this blanket to my grandmother. She has her 95th birthday at the end of August and her sofas all look slightly worn, so a bit of new colour will cheer it up. Amazing!! what a feat, that blanket is beautiful. Way to go! It was totally interesting to learn a new technique. It all feels like such different languages to read, but once you understand the basics it gets easier. This is just gorgeous. Well done! I am happy with it, I am glad I chose those colours. Stunning! Such a perfect gift for your Granny, 95 - wow! 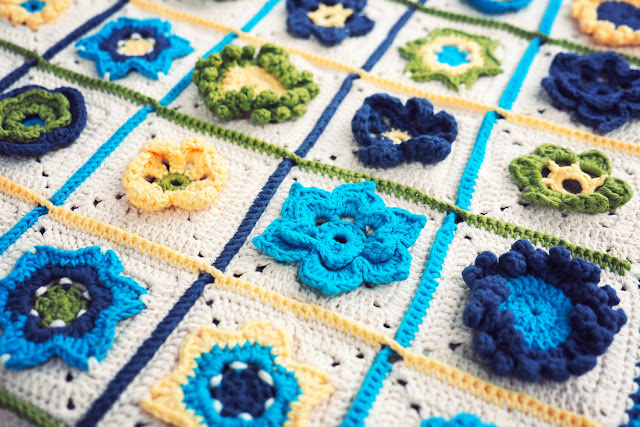 Crochet patterns seem intimidating at first, I believe they look much more complicated than they usually are. 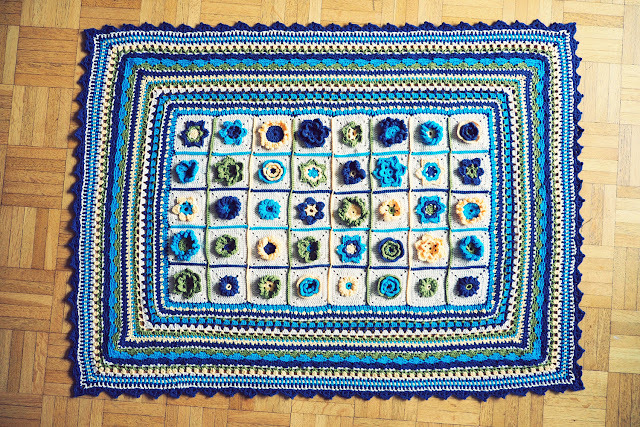 I prefer crochet charts, as they show exactly where you are in the pattern. 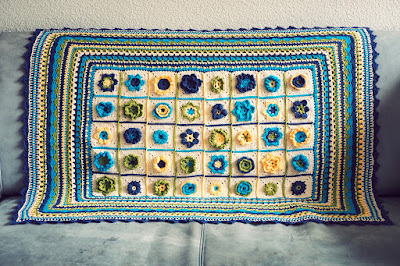 I really hope you will stick to crochet and we will see many more projects from you!! Her birthday is next week, I hope she'll like it. I am pretty sure I'll crochet more but right now I am deep into knitting.